Easter Day we enjoyed the service at church and then a home cooked meal on the grill with just the four of us. We don't get to do it very often, as our oldest is in college, working and interning!! We are quite proud of her however, as she will graduate in December (a semester early). I was also excited to see that our tea roses are in full bloom! They smell so good!! Our knock-out roses are blooming as well, and our hydrangeas and peonies are just waiting to burst open. I cannot wait. I absolutely LOVE our backyard when everything first blooms. The herbs and vegetables have been planted as well, and are already getting big. The fish emulsion really does work! 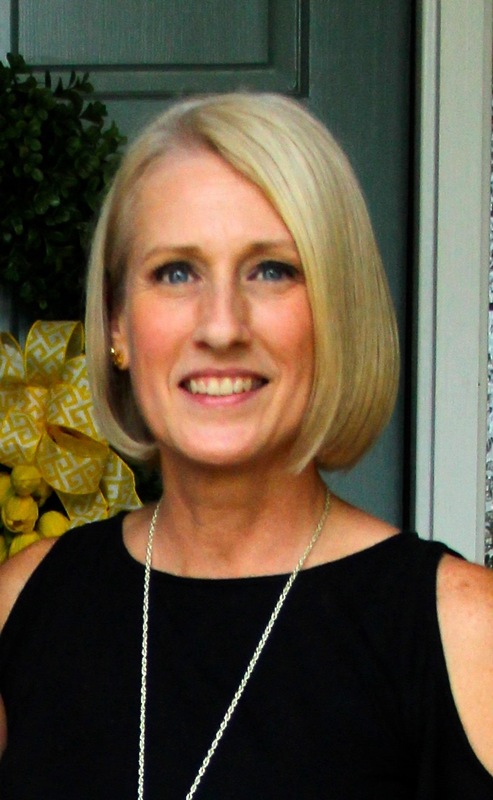 We will be attending the Honors Breakfast and Honors Night tomorrow at our youngest daughter's high school. I am sooo proud of her. Despite the fight with migraines this year, she once again made the Honor Roll and will be receiving another Honor tomorrow night (we aren't sure what for just yet, however, she was named Jammin' Junior recently). Will update tomorrow after the awards ceremony! I'll leave you with something I heard the other day on the Nate Berkus Show. He was interviewing Gretchen Rubin, the author of the Happiness Project. She said, "the days are long, but the years are short." 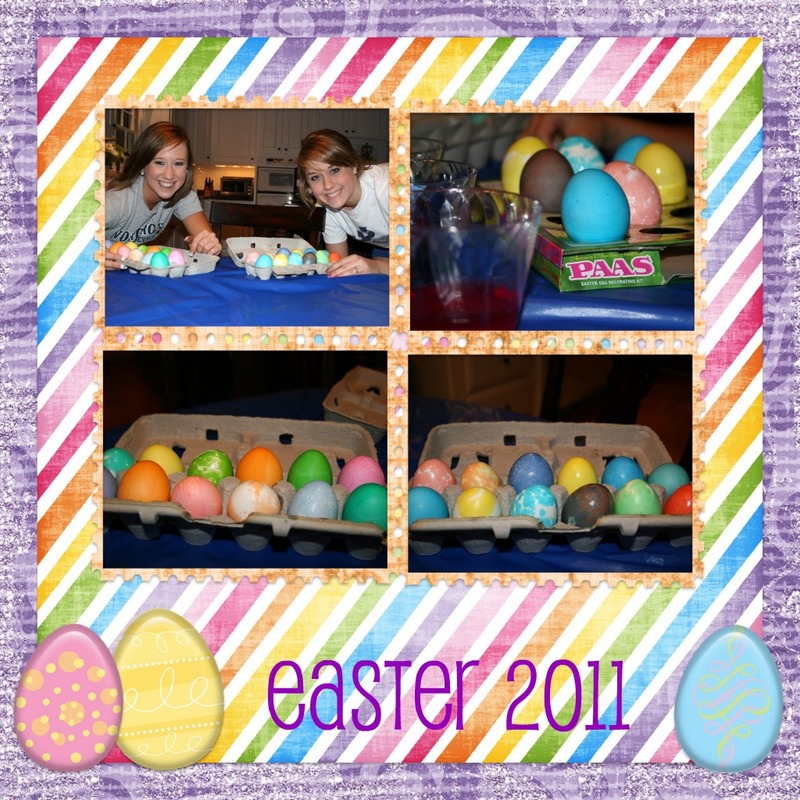 Watching my two girls, now 21 and 17, dye Easter eggs this past weekend, I have to agree 100% !!! A few months ago, I was in Sephora purchasing a few makeup items I had run out of. I am a member of their Beauty Insiders Club, and had earned enough points for a free gift. I was hooked the minute the sales clerk told me the products were from an environmentally friendly company, and smelled like a holiday at the beach. She wasn't kidding!! Moisturizing body butter, leaves your skin silky smooth and smelling great! 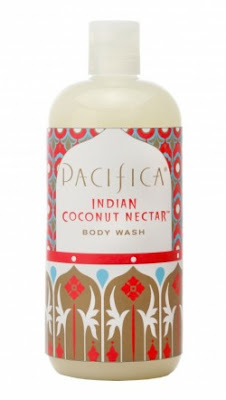 This body wash smells heavenly, reminds me of days spent on the beach. I have now become a huge fan of this company's products (I've not been compensated in any way to say this, just love the products). They are an environmentally friendly company and their products are made right here in the USA! They carry body washes, body butters/lotions, perfumes, soy candles in the most heavenly scents. You can check them out here. You can find some great Mother's Day gift ideas there as well (for either yourself or your mother/mil). Around our house we are trying to be a bit greener these days. First up was tackling the shelves full of cleaning products. While we had switched to more eco friendly cleaners (Mrs. Meyers, Seventh Generation, Method, etc), they do tend to be a bit more costly. So, we started looking for alternatives. I just recently stumbled upon two books with some great information regarding "natural" cleaning alternatives using vinegar, baking soda, lemons and salt along with tea tree oil and Borax. I am looking forward to giving some of these a go. With our daughter's recent issues with migraines and seasonal allergies, we are striving for a healthier/cleaner lifestyle. Simple changes, such as buying lunch meats without nitrites/nitrates have made a tremendous different. Also, we feel that by ridding our house of toxic household cleaners we can only be helping her and the environment. And, I've found that some of the "home" remedies work better actually! For instance, vinegar is a great fabric softener and lemons and salt do wonders for cleaning our new stainless cookware. And, they are so much more cost effective too! So, I thought I'd share the books with you...best part, I purchased them at our local Barnes and Noble for $4.49 each ($5.98 less my membership discount). You can find them online as well. 1001 Practical Uses...really!!! This book takes you through a short history of vinegar, the science of its production, conversion chart for measuring, types of vinegar, and uses (laundry, outdoor, cleaning/odor control, cooking/recipes, health/personal care, pets/animals, home decorating/renovation-wow, who knew??!! Both books are by Margaret Briggs (along with Vivian Head). Even if you aren't into the whole "greener" lifestyle, these books really do offer some fascinating information. Hope everyone is enjoying the fresh air and sunshine. It is a beautiful sunny, almost 80 degree day here (too hot already). Heaven on Earth-the story of our backyard! Six days later, tons of dirty laundry, gallons of lemonade and sweet tea, and aching muscles we didn't know we even had...and you have our updated back yard. Three years ago we added the pond and most of the landscaping around it, we have since updated many of the beds with more shrubs and plants. We moved our herb to a new location, and redid the hill it once called home. The new herb garden is awaiting dirt and herbs. We are expecting heavy rains tonight, so we didn't want to chance not getting the dirt/plants in the ground in time. It will be completed later in the week. And, the rocks from our old garden will find a new home amongst all the new plants. We have lots of buds just waiting to burst open with the season's beautiful display of color (I will post new pics when that happens). Only downside...the pollen is AWFUL!!! So, sitting on the porch or lounging in the chaise by the pond will have to wait a couple more weeks. Okay...I know, enough talk...let's see the pictures (warning...TONS of pictures ahead!!!) Oh, and ignore the grass...it's fate is next!! Hope you enjoyed the tour! Now, if you'll excuse me...I need to go get a massage ASAP!!!! I know I've been promising these pics for awhile now, and finally the sun has come out and I was able to get some decent shots of our updated family room. You can view the family room before here and here. We made just a few simple changes, but it totally changed the look of the room. Here's the rundown, and then I'll share pictures of the updated space. After moving our loveseat from our downstairs office up to our media room, it left our Townsend coffee table from PB without a home. I love this coffee table's lighter distressed finish and the fact that I can change out all the little cubbies under the glass with the seasons. So, we decided to move it to the family room. Well, that was all fine and dandy except now our darker sofa table wasn't working. No problem, it too got moved to an empty wall just screaming for a console table in our media room. Yes, our media room is getting ALL the love!! We then purchased a new console table for our family room. It is the Newberry console table from PB. The finish matched our "new" coffee table perfectly, and I love the drawer shelving combo. It is the only new furniture piece we purchased for the redo. The only other major change we made was taking the center doors off our entertainment center. We never closed them anyhow. This enabled us to move our larger tv from upstairs downstairs, and the smaller one upstairs to the media room where it better fit. It also enabled us to remove the shelf above the tv that held our Tivo/etc and gave us a cleaner look. Hubby put those in the lower cabinet linked with wireless gadgets! We then cleared ALL accessories out of the room, adding back a few we loved, sending the rest to consignment. We then had fun purchasing new items together. We went for lighter, brighter and things that have meaning. We also added some new throw pillows, ordered through Esty, to our existing pillows. We purchased new draperies and rods from West Elm to finish off the previously bare windows. I love these curtains!! So much so, we used the same ones in our dining room to keep the look consistent across the back of the house. I was able to purchase all the new accessories using the money I earned by selling the old accessories through my favorite local consignment store!! We did purchase the new console table, but we needed one for the media room upstairs so either way, I was buying one. It just worked out that the old one worked beautifully in the media room. I am still looking for an area rug for the space. I found one I loved at West Elm. However, it is backordered and I do believe they might be discontinuing it. I am currently loving all the painted Chevron rugs I am seeing around blog land!! ﻿﻿﻿ Okay, without further ado...the new updated family room and a couple pics of the dining room with the new drapes and table runner. Close ups of new accessories. New pillows for sofa from Etsy stores. New console table from PB, Newberry collection. Recycled glass vases, Home Goods. Newspaper birdie & recycled glass diffuser, West Elm. New Suzani pillow cover. I love this fabric!! We are currently updating the carpet in our library and office (makeover to come as I am awaiting my new Jett desk from Z Gallerie that is currently on back order til May), and our front staircase. Hope to share pictures soon. Thanks for stopping by! Hope everyone is having a wonderful week. The sun is finally shining and we are enjoying Spring Break.